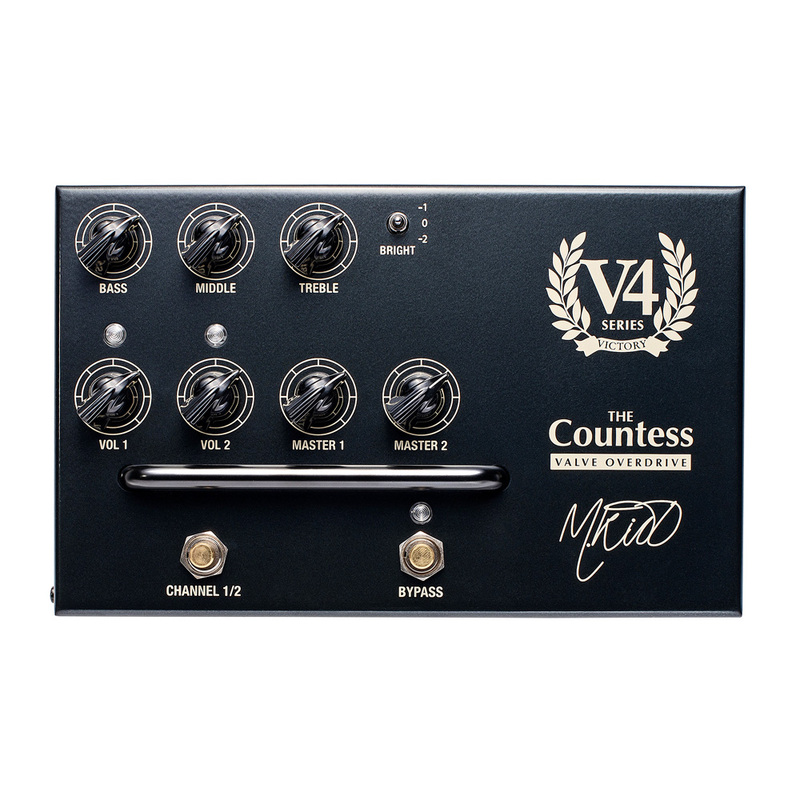 The Victory Amplification V4 The Countess is a two channel pedal with clean and overdrive modes for all round flexibility. 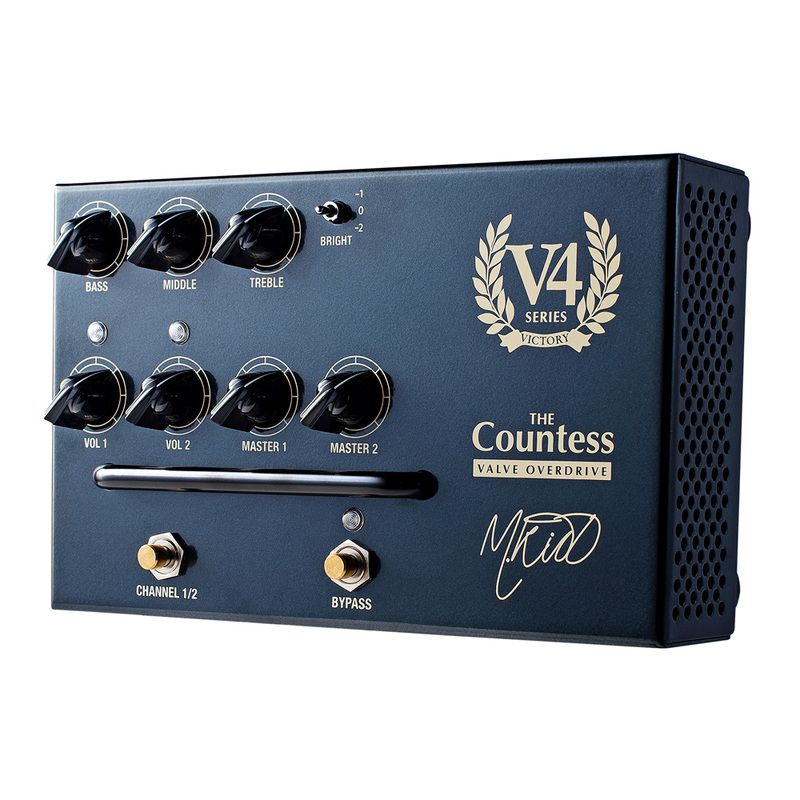 The V4 range are the first preamp pedals of their kind, using four valves to produce overdrive, when on, it replaces the preamp in your amplifier giving you an entirely new set of tones in addition to your existing amp sound. Channel one is clean to mild breakup, great for pushing your existing clean tone or actually cleaning up a crunchy amp (when used in the loop), channel two is unbridled, glorious overdrive. Both channels have their own volume (gain) and master volume controls. 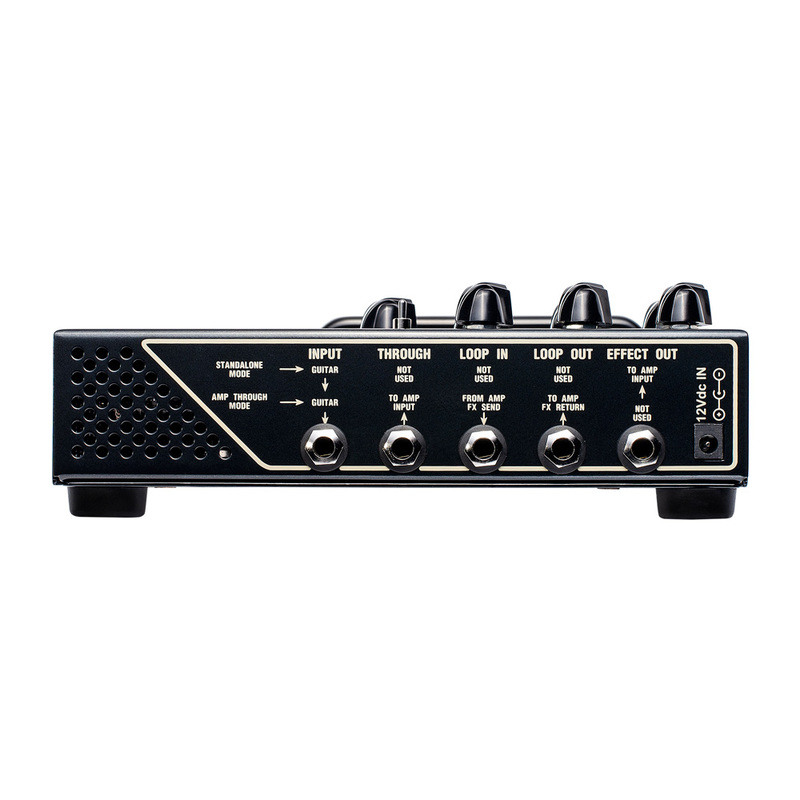 The three band EQ provides powerful bass, middle and treble controls, having a significant effect on the gain character and drive levels, just like in any valve guitar amp. 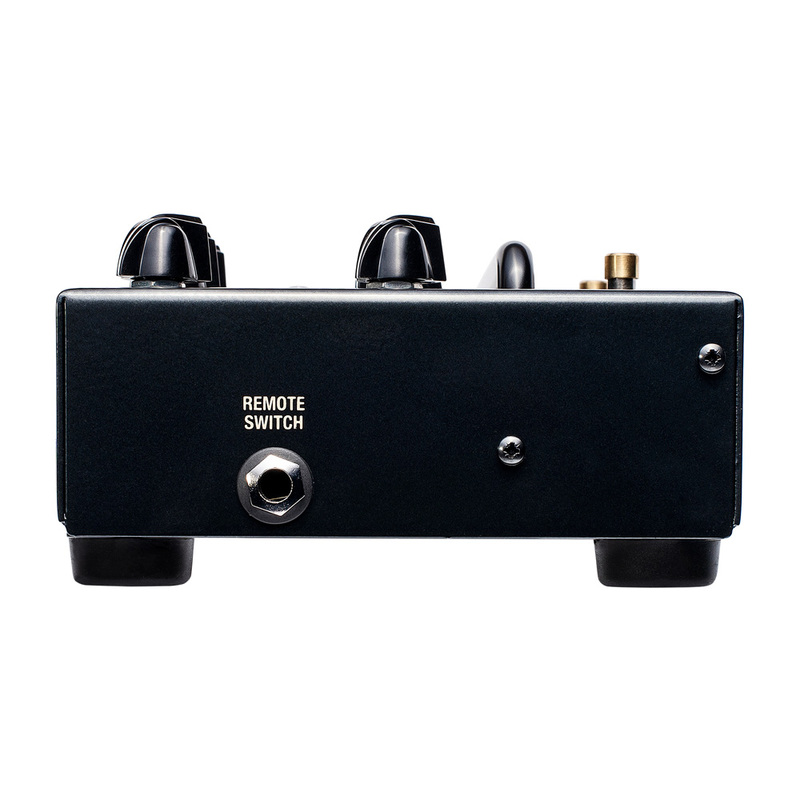 The bright switch is a global tone control that optimises the V4 Pedal Preamp for what you're plugging into, amp effects loops, inputs, recording devices etc. all differ greatly so choose the setting that sounds best to your ears. The Pedal can be used the same as any normal pedal (guitar in to pedal in to the amp's input), but the V4 range truly shines when plugged in to your amp's effects loop, when set up you have all of your amps tones as normal when the pedal is off, but switch it on and it bypasses the preamp of your amp and the pedal becomes the preamp, giving you The Countess amp tones to your existing amp, effectively adding a channel and huge tonal versatility (reverb and delay pedals can still be used in the loop as normal). You can control the on/off and channel selection with either a separate two-button latching footswitch or via a modern programmable switching unit, which means you can have the V4 pedal on top of your amp, not taking up space on your pedalboard.